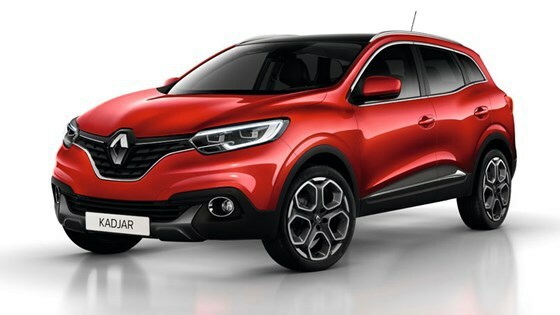 CAP is predicting average residual values of 43 per cent for the new Renault Kadjar range after three years and 60,000 miles. This is at least 3 percentage points better than any of its six major rivals from Europe and South Korea. Coming on top of highly competitive pricing, low insurance rates and efficient engines which reduce fuel consumption and taxation, this is a further pointer to the all-round low running costs Kadjar owners can expect. Every version of the new Kadjar will retain at least 42 per cent of its list price over the assessment period, says CAP. Some rivals lose almost three-quarters of what the owner paid in the same time frame, according to CAP. Renault recently announced highly competitive pricing from just £17,995 for Kadjar, with insurance in low-cost bands from 14E to 18E. Every model in the new crossover range but one can exceed 50mpg in the NEDC combined cycle test, and eight comfortably better 70mpg. This ensures low CO2 emissions, with taxation benefits for both business and private owners. Four versions of the all-new Kadjar have a CO2 rating of less than 100g/km. As with all Renaults customer peace of mind is reinforced by the comprehensive 4+ warranties and roadside rescue packages. This provides a four-year/100,000-mile warranty (unlimited in the first two years) and four years’ roadside rescue cover, which includes three years of Europe-wide assistance.